CD/DVD concert by Australian rock duo Air Supply. Includes all their greatest hits! CD previously unreleased. 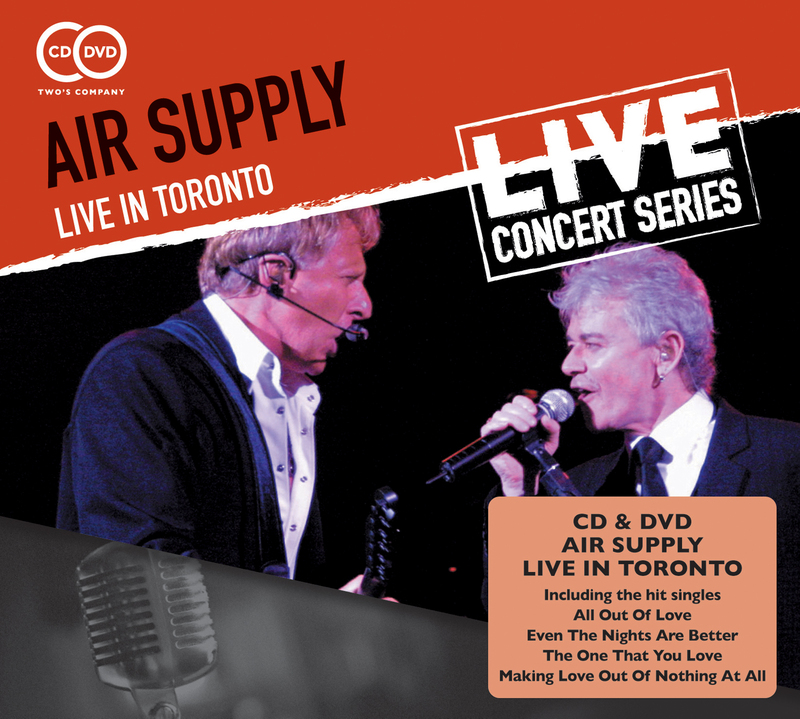 A live CD/DVD set from Australian rock duo Air Supply! This brilliant CD/DVD concert is packed with all Air Supply's hits and celebrates the incredible 30 year partnership of Russell Hitchcock and Graham Russell, who demonstrate their musicianship and great song-writing talents. Recorded at Casino Rama in Canada in August 2004, this concert includes their hits Lost In Love, Here I Am, All Out Of Love and many more. After a three-year hiatus in the late-'80s, the band reformed to produce more of their widely loved adult contemporary music. They have sold more than 100 million albums.